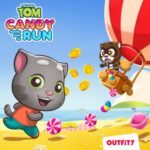 Talking Tom Gold Run is Outfit7’s latest title in the popular “Talking” series of games starring anthropomorphic animals such as Talking Tom, Talking Angela, and Talking Ginger. This game features those three and more, and you’ll be able to play as either Tom or Angela as you chase down the thief who had robbed you of your gold. 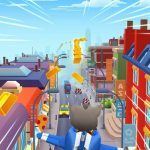 This is an endless runner game where you can discover new worlds, new running styles, and boosts that could make your run easier. The game adds that your running will “pay off” in the end, as it will let you build your own dream home from the ground up. Outfit7 also says that each of the different worlds come with varying runner mechanics, which should make things a bit more challenging than your usual Talking-series games. Want to get your gold back and build your dream house just like you want to? 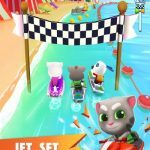 You’ve come to the right place, as this list of Talking Tom Gold Run tips and tricks are here to assist you in retrieving your stolen gold, and spiffing your house up in the right way, while scoring more points. It is important that you buy upgrades for Tom’s house if you’re gunning for a high score. The upgrades, on the surface, make Tom’s house look more attractive, but that doesn’t matter as much as the other main benefit of those upgrades, which is a higher score multiplier. Your multiplier will improve by x1 for each upgrade you make on your house, so if you buy four upgrades for about 500 gold bars or so, that will give you a x4 multiplier. Yes, it’s a good deal indeed, especially if you consider that it can quadruple your points total in that example. Gold bars are the game’s main currency, and normally you’ll be picking up the gold that the robber had dropped while you were chasing him. But sometimes, he won’t be dropping individual pieces, but rather dropping an entire vault, which you can open on the main menu. The catch here is that you’ll have to wait for a few hours before you can redeem the contents of the vault. But it’s going to be worth the wait, as you’ll get gold bars, gems (the premium currency), and upgrade tokens, which you can use to upgrade the power-ups. Of course, you’ll want to move quickly if you want to catch that robber and get your gold back. But you also have to slide, swipe, and dodge your way around so you can avoid obstacles. Dodging a split-second too late or swiping against an obstacle, such as the side of a truck, would stun Tom or Angela a bit, making them a bit woozy, but not ending the run right then and there. But you should take extra care once your character gets stunned; if you bump into something while Tom or Angela is still woozy, it’s game over right then and there. As this is an endless casual game where you can play as any one of multiple characters, we should also let you know that there’s no difference when it comes to the characters and their gameplay. They just look different from each other, so regardless whether you prefer Tom, Angela, or any other character in the Talking series, they’ll all perform the same way when they’re chasing the robber and trying to retrieve their stolen fortune. The plane power-up is the one that you should definitely be gunning for in the game if you’re trying to accumulate more gold. If you see one, go grab it, and take to the air with it; that’s going to allow you to collect a ton of gold bars without having to worry about any obstacles. All the power-ups can be useful to your character in their own way, but the plane power-up is arguably the best of them all. 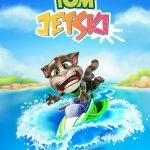 Need more tips and tricks for Talking Tom Gold Run? Head over to this link and check out our first strategy guide for the game!